Today I show you how to make the famous Fererro Rocher chocolates. 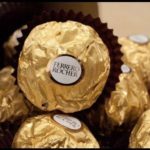 Ferrero Rocher’s are enjoyed around the world by millions of people, so today I reveal to you the top secret recipe that is used to make these delicious chocolates. If you follow this recipe correctly you will recreate the famous chocolate in your own home, which will result in you saving over 75% rather than paying full price for them at the store.